Mourning to Morning Ministries was founded in 2004. It is a gospel ministry of justice based Isaiah 61:1-3. It is sharing the love and compassion of Jesus in bold and tangible ways! Patti’s greatest passion is for those who have experienced abuse, loss and devastation in their life to know that ‘pain’ is not forever and that they can experience and walk in true freedom and live victoriously! The Lord’s call and direction for this ministry is to call forth victims of violence, to share with them about God’s love and to convey to them that they have a hope and a future and a sure calling, to call them out of the shadows and to live, to take their stand and to be victorious men and women of faith. Through Christ people can come from a place of pain to the dawn of a new day! This is to be done through personal prayer and counseling; mentoring; speaking; teaching and coming alongside of leaders. 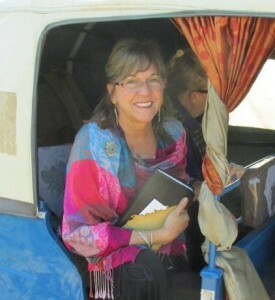 Patti was ordained in 2004 as a Minister of the Gospel. She received Honorary Doctorate of Humanities from Kayiwa International University of Uganda in September 2013. Mourning to Morning Ministries is a ministry of deep healing built on the truth that God redeems, restores and renews and we can move from victim to victorious through Christ.